Winner of the Comparative and International Education Society Higher Education Special Interest Group Best Book Award for 2014! As universities increasingly engage with the world beyond the classroom and the campus, those who work within higher education are left to examine how the university’s mission has changed. Official reviews and debates often forget to inquire into the purposes and responsibilities of universities, and how they are changing. Where these matters are addressed, they are rarely pursued in depth, and rarely go beyond current circumstances. Those who care about the university’s role in society are left looking for a renewed sense of purpose regarding its goals and aspirations. 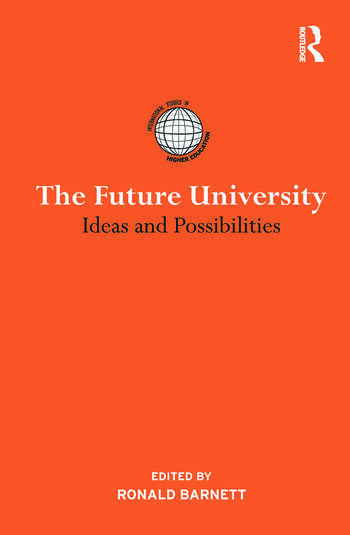 The Future University explores new avenues opening up to universities and tackles fundamental issues facing their development. Contributors with interdisciplinary and international perspectives imagine ways to frame the university’s future. They consider the history of the university, its current status as an active player in local governments, cultures, and markets, and where these trajectories may lead. What does it mean to be a university in the twenty-first century? What could the university become? What limitations do they face, and what opportunities might lie ahead? This volume in the International Studies in Higher Education series offers bold and imaginative possibilities. Ronald Barnett is Emeritus Professor at the Institute of Education, London.